The symposium will take place at the "Wohl Center" located just outside of the Bar Ilan campus, see map. 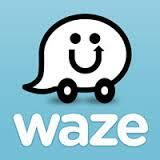 For Waze users (cell phone ONLY! ), click here . There will be a bus from Tel-Aviv Central train station to BIU at 08:15 and one back at 18:30. No need to register for the bus  first come, first in! There may also be a bus from Jerusalem. Please register to this bus in the following link: https://docs.google.com/forms/d/10CZLY5SPDzSMG_jsSYsZsK0tWlYuQvW_DRmjT6aAJa0/viewform?usp=send_form . For more details re this bus, please contact Dr. Ora Furman (oraf@ekmd.huji.ac.il ). Exit at 'Nachshonim' junction. Follow route 471, there are few traffic lights along the way. Follow the signs to Bar Ilan University. DO NOT enter at the main campus entrance. Keep going along the road, unil you arrive to the Wohl center (on your right) and follow the signs to the parking. PARKING IS LIMITED!